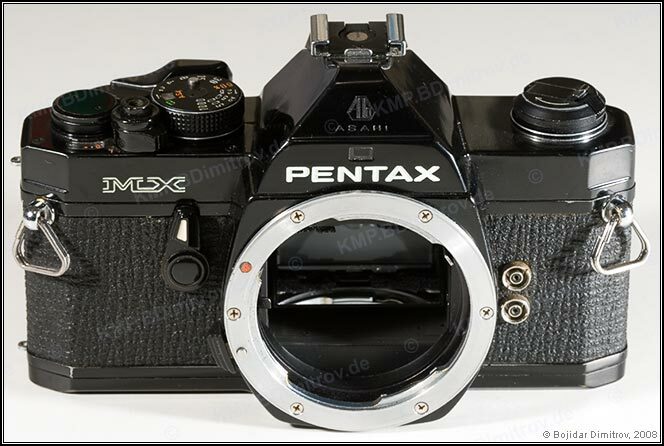 This is one of Pentax’s simplest, most robust, most beautiful, and most popular cameras. It features manual focus, manual exposure and fully manual flash operation. It is fully mechanical, and uses batteries only for its light meter. But it features DOF preview, self-timer, interchangeable screens, and interchangeable backs. A winder and motor drive are available as optional accessories. The viewfinder offers an optical readout of the selected lens aperture and shutter speed as well as five LEDs that indicate how far the manually-set exposure is from the camera’s recommendation: 1 EV or more under, 1/2 EV under, identical, 1/2 EV over, 1 EV or more over. The camera is extremely small, light, and easy to use. 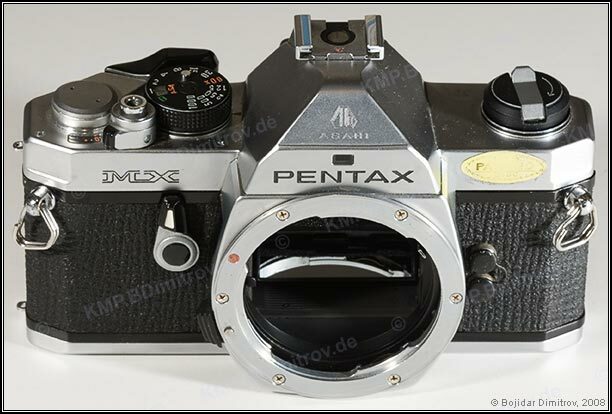 On the negative side, the camera’s design is from the late 1970’s and supports only center-weighted metering, has a slow flash sync-speed, and no flash automation of any kind. Parts for the MX are getting difficult to find. The MX does not officially feature mirror lockup. 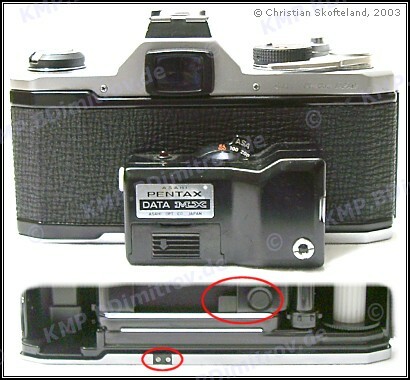 With some practice, however, it is possible with a quick and light tip on the shutter release to raise the mirror and with a subsequent (normal) click to release the shutter. This trick works better on some cameras as on others, and the opinions of the more engineering-inclined MX users are divided as to whether or not this induces additional wear-and-tear on the camera’s mechanisms. Prices for used black-silver units have fallen below US $100. Black ones tend to fetch up to US $50 more. The MX Data is a very rare body modification. It features the following two additions: data-back contacts and a metal “tab” that blocks light from the image area where the data imprinting takes place. This tab can be folded away when no data imprinting is required.